“I’m sorry for what I said when I was hungry.” I saw a shirt with that saying and it spoke to my soul. Ask anyone who knows me and they will tell you I am always hungry. So here I am, confessing to all: I am a serial snacker. I forget birthdays, I forget to bring my son’s shoes, I forget to turn the oven burner off (seriously that happened to me today. FOUR HOURS. Ugh). But I never forget to bring snacks. Priorities. In all my professional snacking experience, naturally I get bored with the same old healthy snacks. 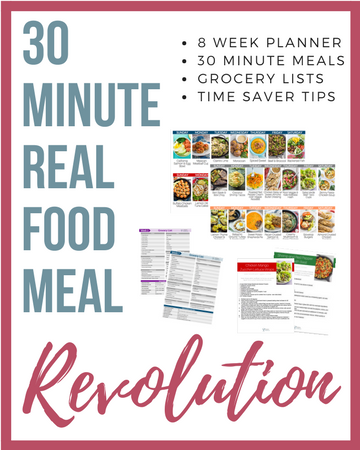 You can only rotate your favorites so many times until your taste buds cry out, “something new, PLEASE!” I call this a snack rut. I feel for those who have been there. It’s really a terrible situation to be in, trust me. 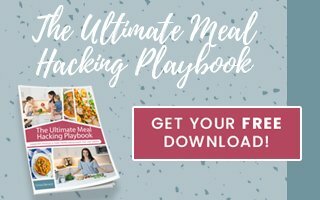 Despite my first world snacking problems, I’ve made it my foodie exploration mission to break free from boring snacks. I’m coming ‘atcha with fresh new ideas. Snack rut = sayonara! Here are five, paleo, vegan, and Whole30 snacks you haven’t tried yet. They look like real fries, they act like real fries, but they are waaaaay healthier than real fries. These cinnamon parsnip fries are slightly sweet and starchy – sort of like a glorified sweet potato, but cooler, a cinch to make and easy to eat. To start, preheat your oven to 400 degrees. Cut two large parsnips in half. Use your mandoline slicer or a knife and slice the parsnips into 1/4″ rectangular fry shapes. 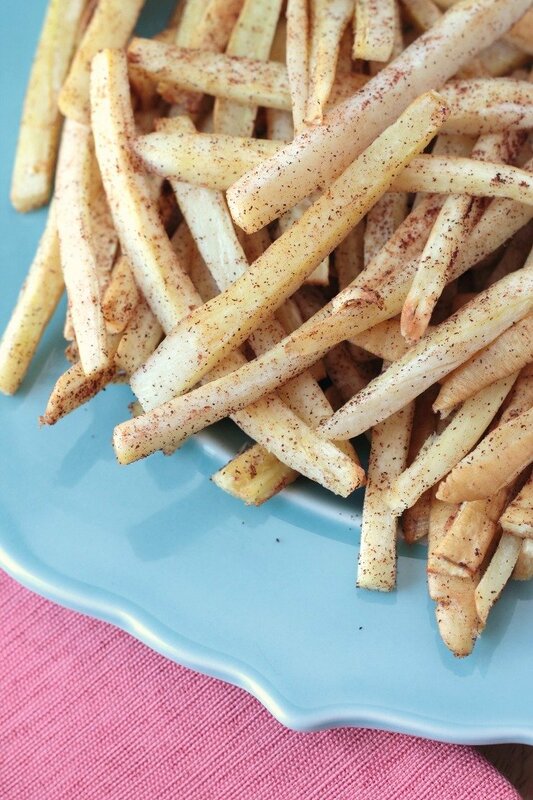 Place parsnip fries on a baking sheet and coat with 2 tablespoons of olive oil and sprinkle with cinnamon. Bake for 12-15 minutes or until soft. Kinda sick of hummus? Almond butter? Well feast on this – Sunshine Dip (also known as Sunshine Sauce). Why sunshine? Probably because it tastes like a burst of happiness in your mouth. 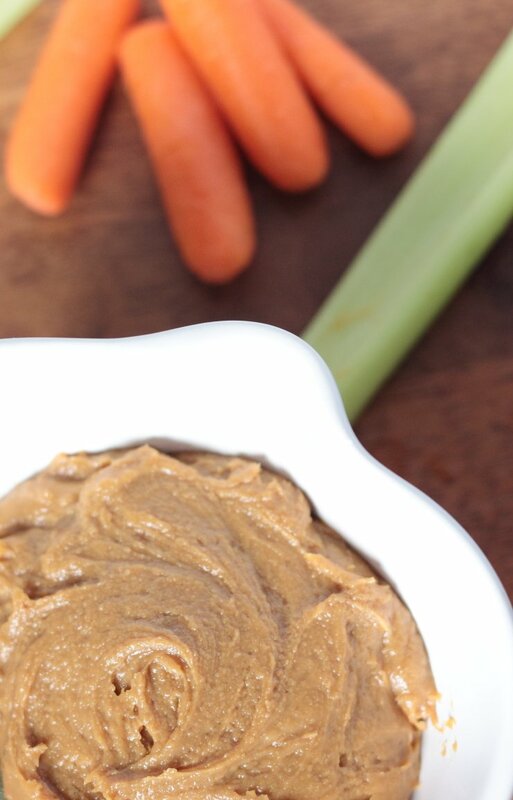 Smother this on celery or use as a carrot dip. This nutty, Asian-inspired dip works well with any vegetables and is versatile too. Add a little more coconut milk to the recipe below to make a thinner sauce to drizzle over stir fry. Combine the following ingredients: 1/4 cup sunflower butter, 2 tablespoons lime juice, 2 tablespoons coconut aminos (or soy sauce), 1/2 teaspoon rice vinegar, 1 tablespoon coconut milk, 1/8 teaspoon sesame oil, 1/4 teaspoon ginger powder, and 1/8 teaspoon garlic powder. Mix until well combined. 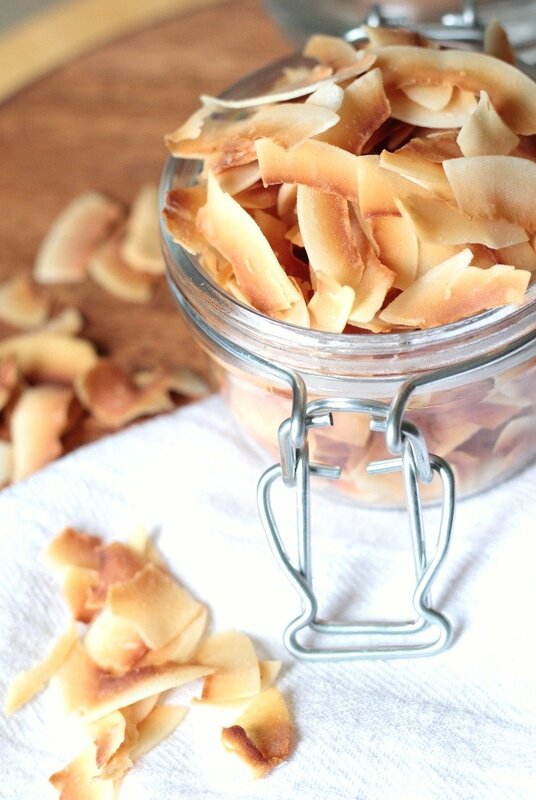 Mmmm nothing is better than toasted coconut chips. If you are cuckoo for coconut, this IS your snack. I love the amazing smell right out of the oven. When I’m craving a crunchy snack, I reach for these coconut chips – made in minutes! To start, preheat your oven to 375 degrees and spread raw coconut chips on a baking sheet. Place in the oven for 5-8 minutes or until the chips turn a golden brown. Remove from oven and let cool on a plate. 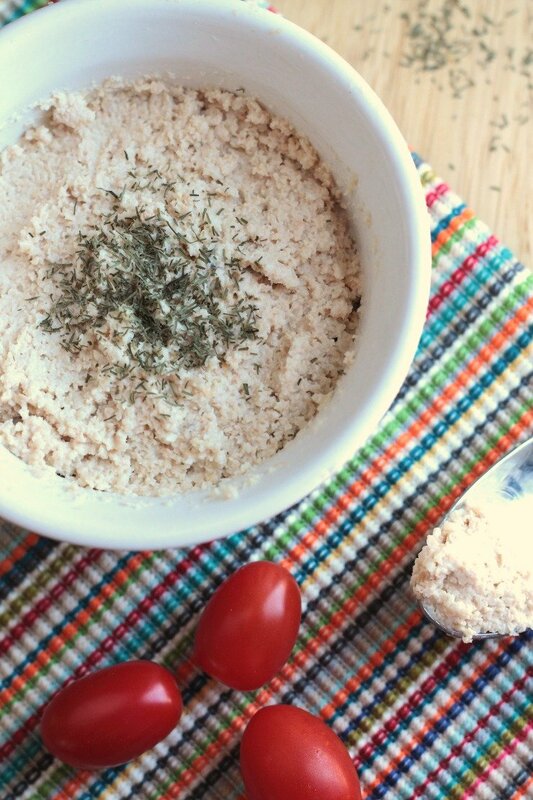 To make this paleo, vegan cashew cheese, soak 1/2 cup raw cashews in water overnight. Drain the water and pour the cashews into a small food processor or blender. Then add 1 teaspoon apple cider vinegar, 2 tablespoons lemon juice, 1-2 tablespoons of water (depending on how creamy you like it), a pinch of salt to taste and whatever herbs you prefer (I used dry dill). Pulse or blend until well combined and refrigerate for up to 10 days. If you haven’t tried kale chips, now is the time. Don’t be scared – they don’t taste at all like raw kale. Convert any Pringles lover with this healthy alternative. Especially when you add nutritional yeast, an amazing nutty/cheesy flavor addition. 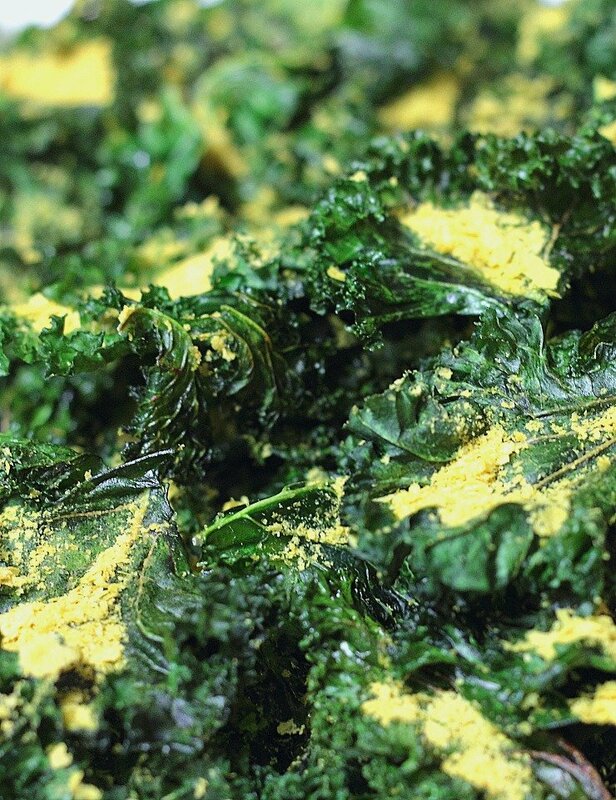 Plus nutritional yeast is packed with B-complex vitamins and amino acids, so throw that stuff on freely! Wash and dry a large bunch of kale and tear off the leaves into bite-sized pieces. Preheat your oven to 325 degrees and drizzle the kale leaves with olive oil. I get my hands in there to make sure each leaf is coated. Next, spread the leaves on a baking sheet and sprinkle generously with salt and nutritional yeast flakes. Place the baking sheet in the oven for about 15 minutes. Once your timer is up, check that all the leaves have turned crispy and return any soggy leaves back in the oven for a few more minutes. Can you start to see past the snack rut fog? Are the clouds opening? Belly growling? Better get to making these newbie snacking favorites before you do something irrational. 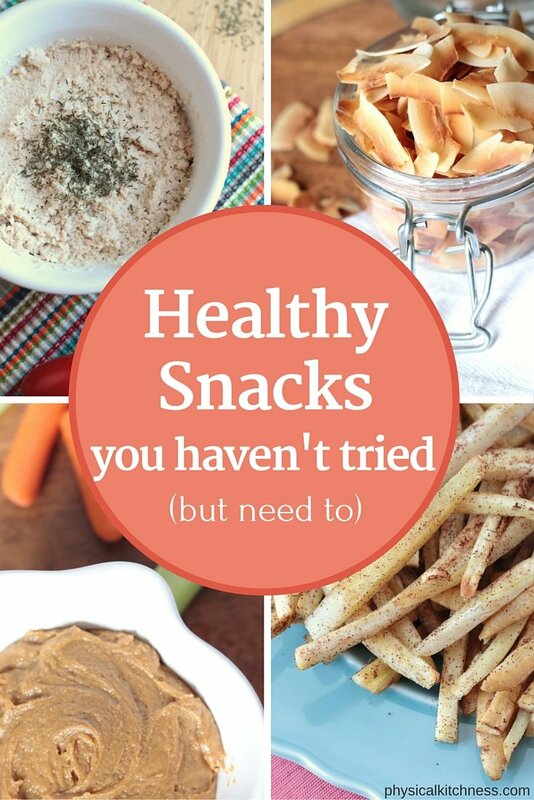 What other new and different healthy snacks have you tried? These all look so tasty! Especially that sunshine dip 🙂 Thanks for sharing. No prob Alanna! The sunshine dip is amazzzzing. I slather this stuff on everything! Oh they all look delicious! I want to try the coconut and kale chips, looks delicious. It’s hard to pick a favorite, but anything with crunch might be higher on my list than the others. I love a little crunch. You’ll love these too Ros! I bet those coconut chips are yummy! The sunshine dip sounds so interesting and really good! Thanks for sharing! Hey Alexandra – YES the sunshine dip is so unique and packed full of flavor. You gotta try it! I loooooove snacking too! I always just do apples and almond butter, so boring. These are fun and new ideas, thanks! When I read the headline I was skeptical, but you are right. I have never tried any of these! They all look yummy can like something good to try. Fist pumping over here. (!) Glad I could surprised you and exceed your expectations Erica! Can’t wait for you to try them! I LOVE Kale chips, but definitely need and want to try the rest of your list! Thanks for sharing! ME TOO! And the crazy thing is – my husband loves them too. Which is like a BIG DEAL!!! Thanks Caroline! Definitely going to check some of these out! I hope you do Laura! What great ideas! I’m intrigued by the cinnamon parsnip fries. I love kale chips. Thanks Mary! The parsnip fries are awesome eating by themselves and as a side to fried eggs in the morning. Thanks for the inspiring list. I am particularly curious about parsnip fries. My pleasure Christine! Yes, try those nummy parsnip fries asap! looks amazing! I love coconut chips and kale chips! I need to try those fries… looks tasty! You are a lover of the crunch like I am then! I think you will love these fries too Danielle! Thanks for stopping by. Haha I need to get that shirt! I am definitely someone who gets hangry and I need my snacks! Love those parsnip fries with the cinnamon and the sunshine dip is such a fun one too! You get it – you totally get it. I seriously have snacks in my car, purse, diaper bag, etc, etc. Always be prepared, right?! I love this post! I’m always on the lookout for new healthy foods to try! 🙂 Those parsnip fries look especially yummy!! Thanks so much Jen! The parsnip fries are delicious. And work well paired with eggs or thrown in a salad! Sunshine dip sounds great.. Thanks for sharing! Is is sooooo delicious. You’ll love it DT! I love coconut chips! Thanks for sharing! Me too Sherisse. Might just be my favorite! These look amazing!! With the exception of kale chips, I had never heard of these. Definitely excited to try some out when the snacking itch starts. Thanks! Awesome to hear Ashley! I hope you give a few of these a try. I have been meaning to make cashew cheese for a few years now! I’m dairy-free but just haven’t gotten around to accumulating the ingredients. I need to go to Whole Foods and pick up cashews asap! Hey Catherine! I’ve just recently become obsessed with cashew cheese. It works with almonds too (I used leftover pulp when I make almond milk). Enjoy! These snacks looks delicious!! I really want to try the sunshine dip and the parsnip fries!! Yes try try Emily! I’m sure you’ll find a favorite between those two. Thanks! HA, I’m not prego and I need to snack every 2 hours too! So imagine what it was like when I WAS pregnant. Totally can related to the raging hungry machine Lauren 😉 Glad I could help satisfy your prego cravings! GOOD! It’s a game changer Emily! I’ve always wanted to try making kale chips. Thanks for sharing! Ooh they are staple in our house! Initially, my husband totally dissed them (without trying first), and now he is giddy every time I have a batch in the oven! Yum coconut chips – Thanks for linking up to Pin Worthy Wednesday, I have pinned your post to the Pin Worthy Wednesday Pinterest Board. Thank you so much! Gosh I dream about these coconut chips they are so dang good!